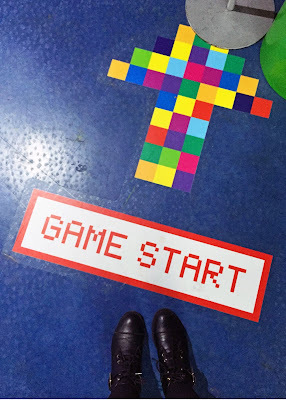 Game 2.0 is the world's largest exhibition of video games - ranging from the 1970s to the present day. There's over 100 in the collection, and best of all - you can play them. I'd been wanting to visit since it opened back in May, but then summer happened and by now you know I'm not the biggest fan of children - especially en masse. So I decided to wait until the little darlings went back to school, and I went with my sister before she returned to uni. We went for 3pm on a Wednesday evening and practically had the place to ourselves. 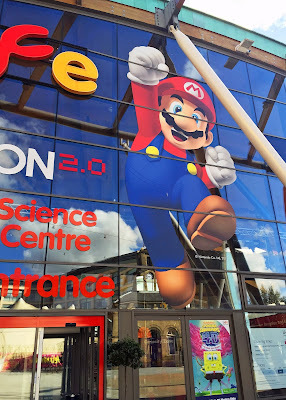 The £12.50 entry fee is pretty reasonable for the amount of gameplay you get - I remember feeding the best part of a tenner into arcade games over the course of an afternoon back in the 90s. Walking into the exhibition you are greeted with the oldest arcade game - Pong. Which is surprisingly difficult. 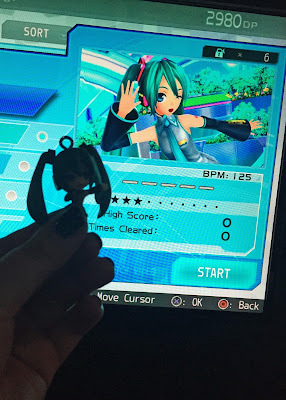 We both felt rather overwhelmed by the sheer choice, so we did a full lap of the place before actually playing anything. We spotted gems from our childhood - Sonic 2 (Sega Megadrive/Genesis), Tetris (Super Game Boy), Tekken (Playstation 2), Super Smash Bros (Nintendo SIXTYFOUUUUURRRR), Ridge Racer (Playstation), The Sims (PC/MAC), Super Mario Land (Game Boy). The front of the exhibition is dedicated to consoles - old and new. The space nearer the back has a wonderful selection of original arcade machines including PacMac, Donkey Kong and Space Invaders. 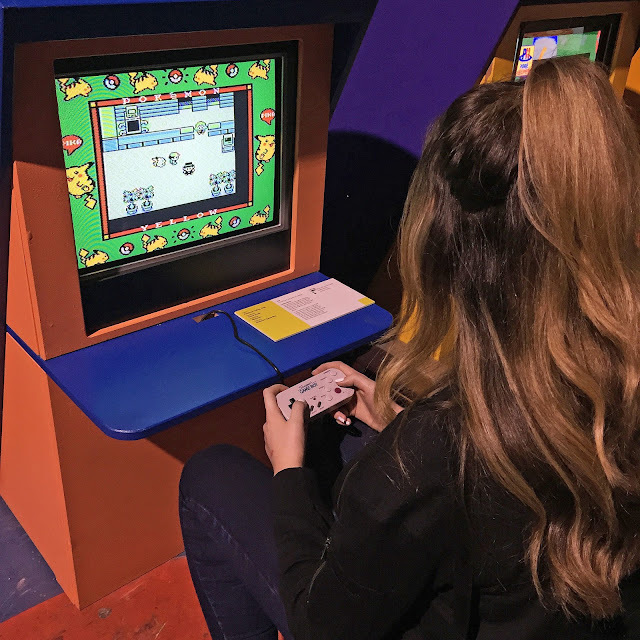 There's even an area for 'Children's Games' where we actually spent quite a bit of time - games included Pokemon Yellow (Game Boy), Super Mario 3D Land (WiiU) and the original Animal Crossing (Nintendo 64). My sister Nadia was born in 1993 and missed the magic of Pokemon Yellow first time around! 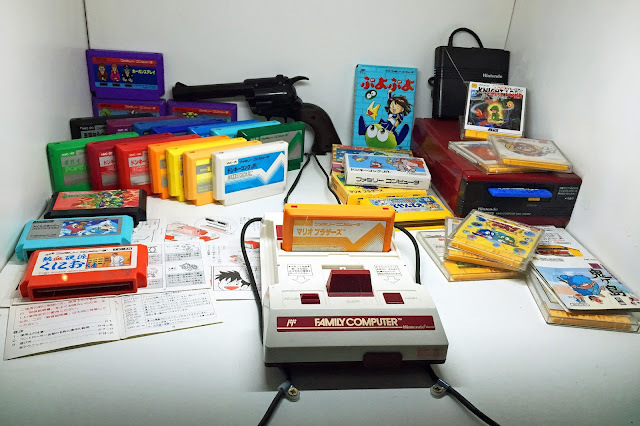 There's also a large collection of handhelds in display cases, including the entire Nintendo handheld family, an impressive number of Tiger games from the late 80s/early 90s and Tamagotchis. 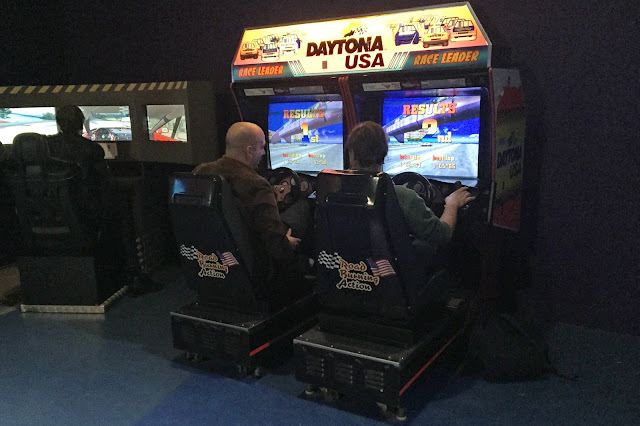 A pair of bros loving life on the Daytona USA racer. Included in your ticket price is of course access to the rest of the Life Centre including the planetarium and the motion simulator ride. 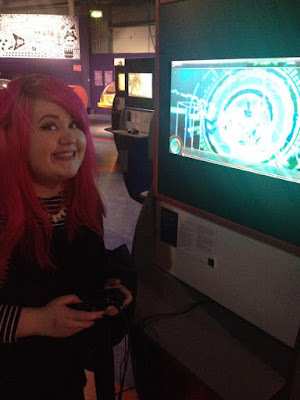 We planned on having a good look around, but ended up spending nearly all of our three hour stay in the Game On 2.0 exhibition - leaving only to go on the simulator. To see everything if you're a bit of an avid gamer, I recommend giving yourself at least half a day. If you don't want to eat in the centre, you get a stamp on your hand and can come and go as you please all day. 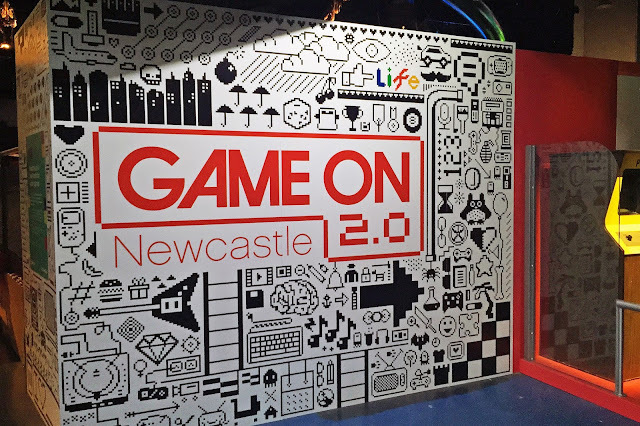 Game On 2.0 runs at The Centre For Life until January 2016. 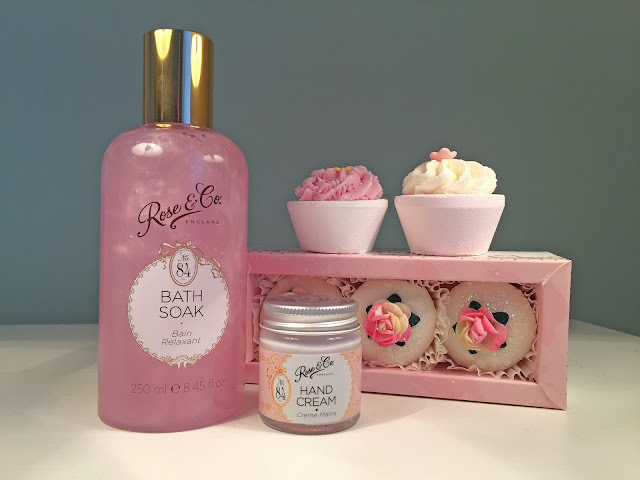 The holiday season already feels underway because I was recently send some beautiful Rose & Co. items for consideration. I've been a fan of the brand for years, so was very excited to receive some products from their signature No.84 range. I am a complete sucker from packaging and absolutely adore the pink, ultra feminine design. It's very pastiche and reminds me of something my glamorous Italian aunties would have on their dressing tables. 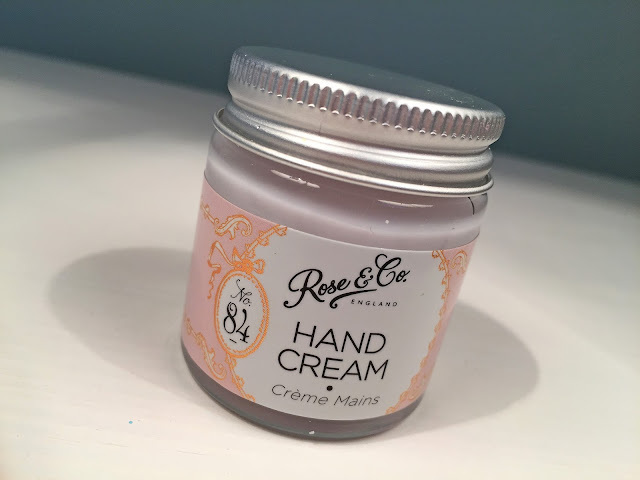 I can be quite fussy with hand creams, I don't like anything too pungent or that leaves a residue. With a lightly whipped texture, this cream sinks directly into my skin and I can feel the softening shea butter instantly soothing my hands from the elements. I also can get terribly try elbows during this time of year, which can sometimes get so bad they even crack and bleed which is very sore. I've actually been using this cream for a few weeks now, and can definitely see an improvement. 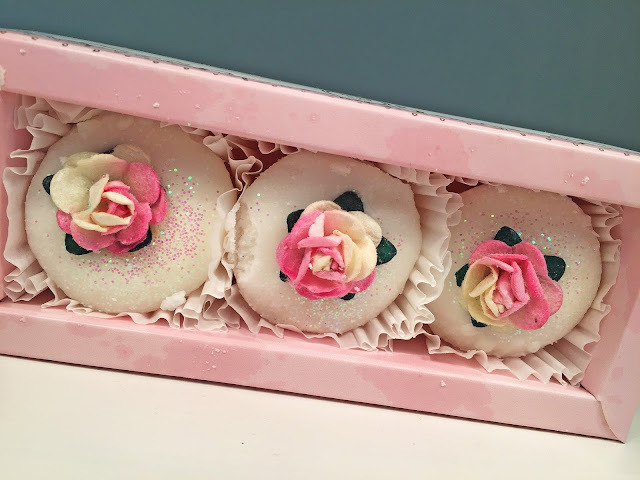 As the name suggests, everything has a gorgeous, delicate rose scent, with elements of violet, jasmine, iris and black tea. With everything £10.00 and under, these products would make for beautiful stocking fillers or Secret Santa gifts with the holiday season approaching. Or - of course - they are perfect just as a beautiful addition to your dresser as they look almost too good to use. Almost. Auntie Dolly and Auntie Rose would have been fans!